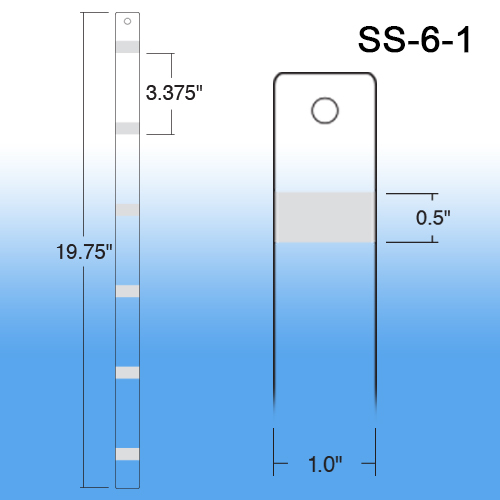 Minimum quantity for "6-Position Sticky Strip™ Merchandiser, 1" Wide, SS-6-1" is 100. 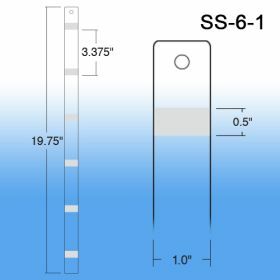 *Weight is not the only factor in selecting a strip. Bulk is a factor. Compatability between your mackaging material and our adhesive is another. 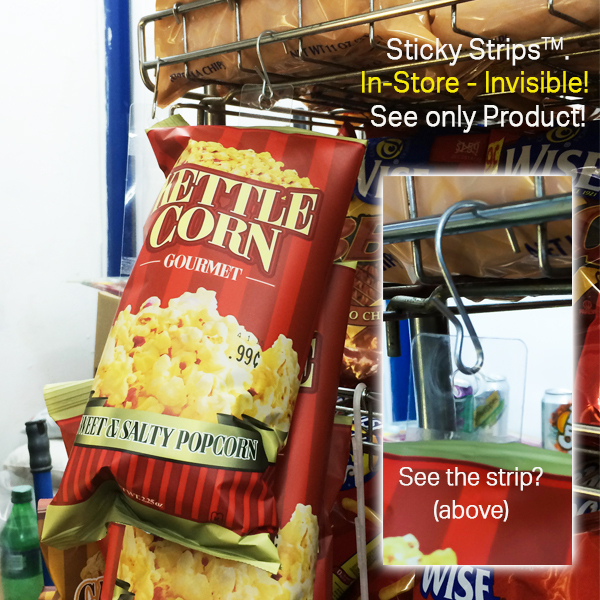 We recommend that you ask for samples and test your package on our strip prior to purchase). Keep in Mind: If our stock Sticky Strips™ aren't the right fit for you, contact us to discuss moving the mounting positions, changing the adhesive strength and/or, in some cases when it may be possible, using different thickness plastic. Of course, "custom" may require minimum quantities, etc.